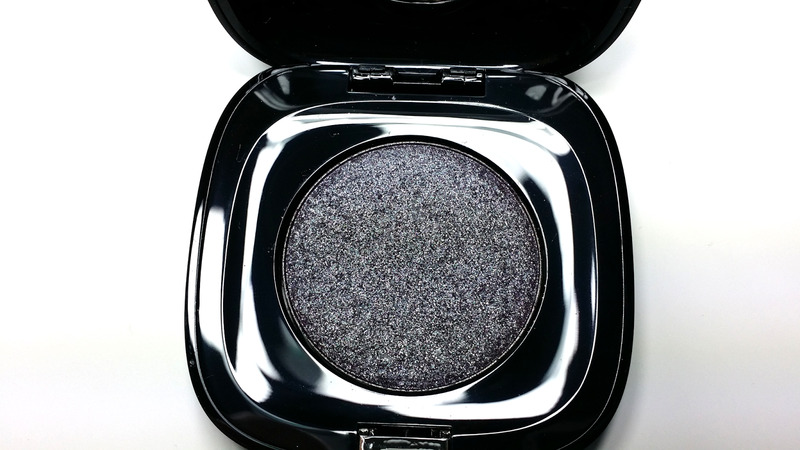 If you haven't seen my most recent Sephora haul from Black Friday/Cyber Monday, I gave you guys a sneek peek into an absolutely beautiful eyeshadow from the Marc Jacobs' beauty range. Unfortunately (for both you and I), this product is limited edition and selling out fast on the Sephora website, so I decided to do a quick follow-up post to give you guys the deets in case you want to go and pick it up for yourself. 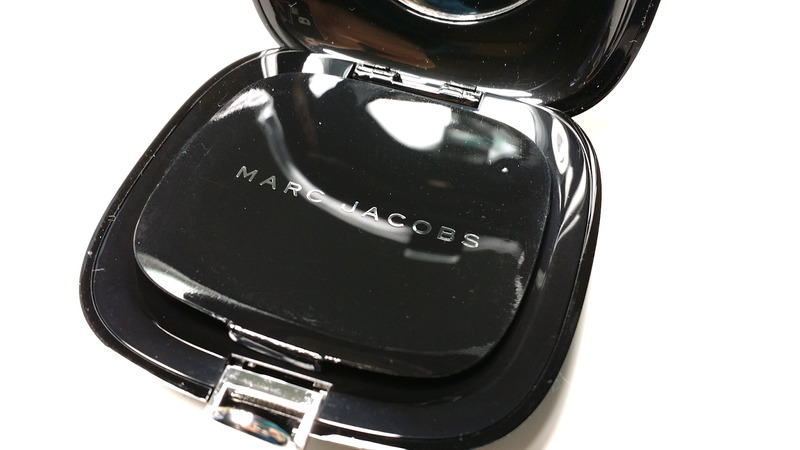 Beauty addicts, meet the Marc Jacobs Glitter Dust in Ultraviolet Light. 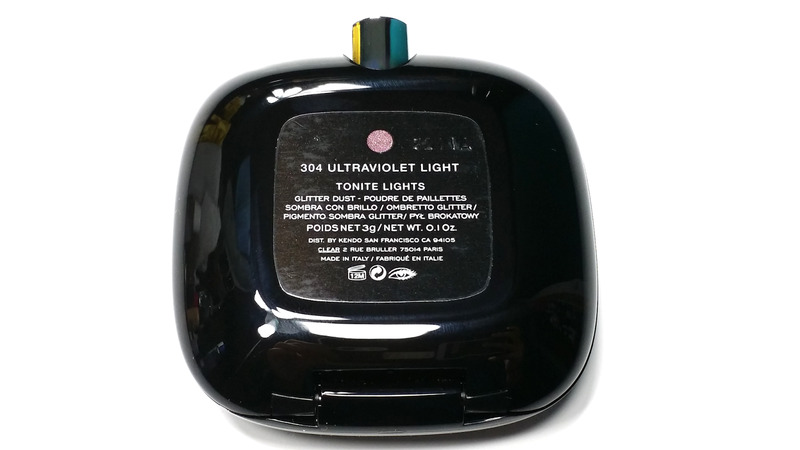 Ultraviolet Light meet beauty addicts. 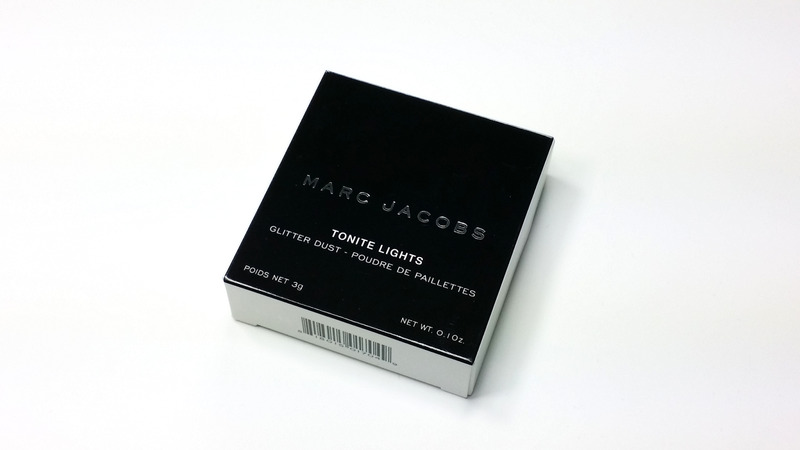 The Tonite Lights Glitter Dusts come in the typical black and white glossy cardboard packaging. 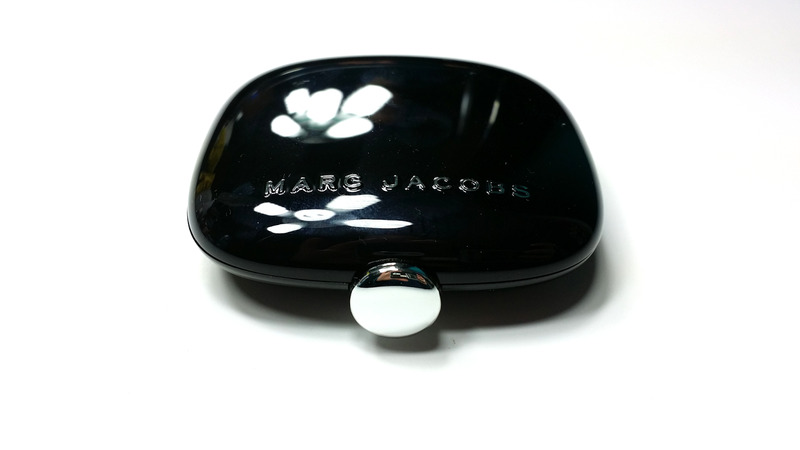 The casing of the product itself is also in the typical Marc Jacobs packaging--a very reflective, sturdy black plastic with silver detailing. 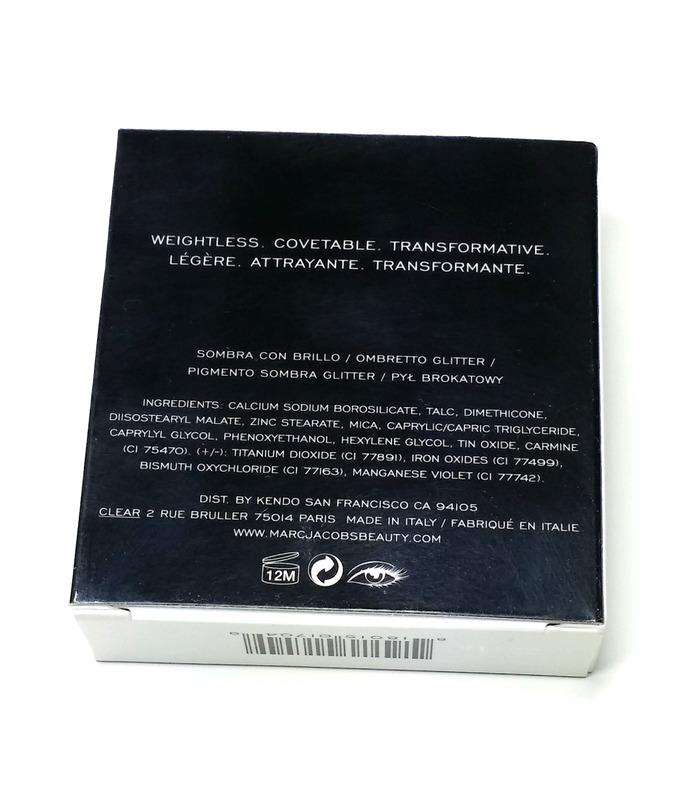 While very luxurious looking, the packaging is fuzzy-and-fingerprint-prone as you can probably tell from the pictures. 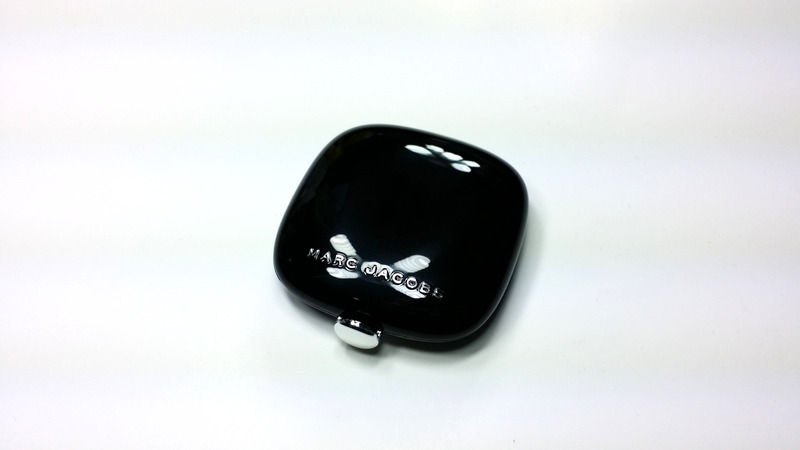 To open and close the product, there is a silver push button and it audibly clicks when you close it. It feels pretty secure and not like it will fling open if you happen to chuck it in your makeup bag. 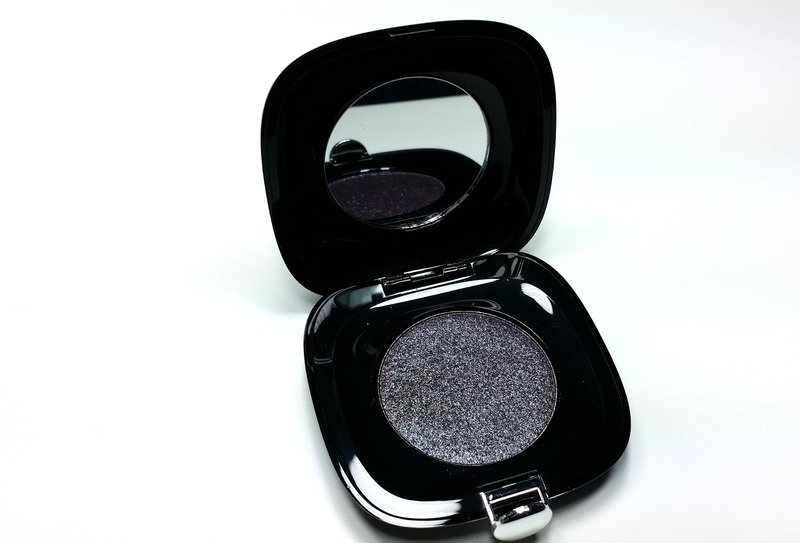 In the pan, it looks a bit like a blackened purple with tons of fuchsia and silver glitter particles throughout. Swatches in direct lighting. Marc Jacobs Glitter Dust in Ultraviolet Light dry (left) and wet (right). Swatches not in direct lighting. 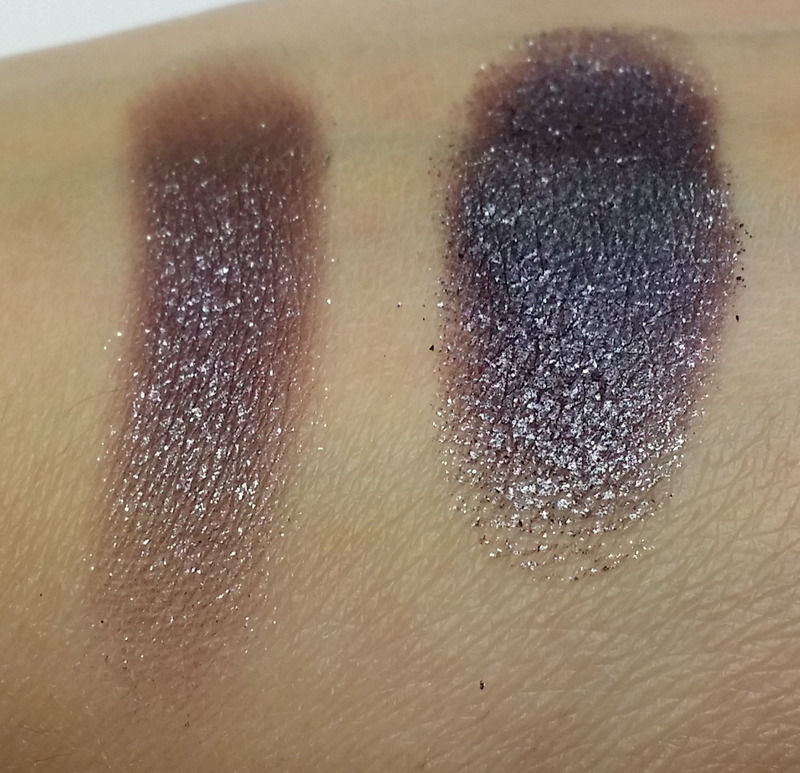 Marc Jacobs Glitter Dust in Ultraviolet Light dry (left) and wet (right). However, when it's swatched, it comes off as the most glamorous taupe-y purple shade I've ever laid my eyes on. I decided to show you how it swatches when used both dry and wet, depending on how you prefer to use your shadows. 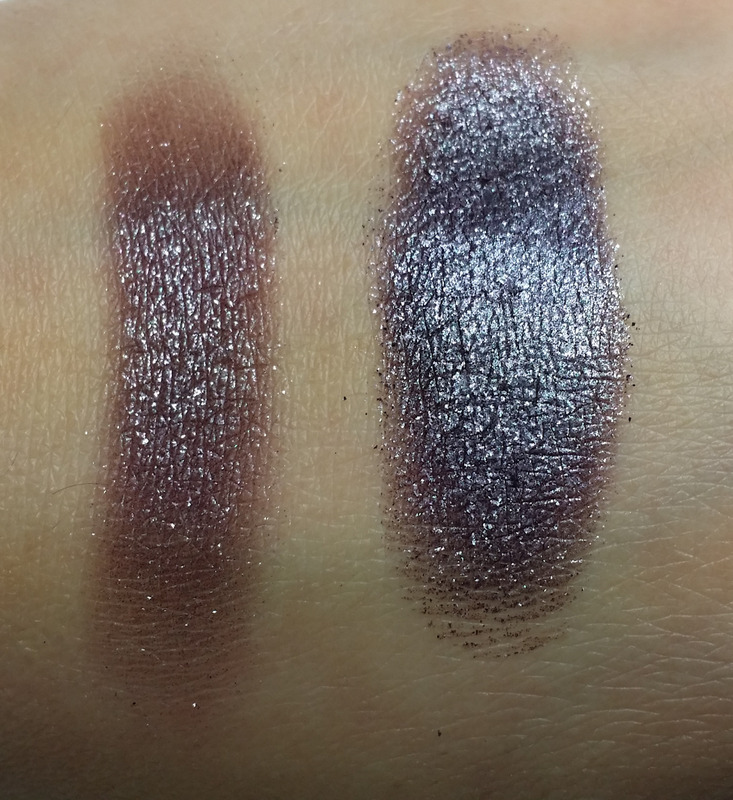 It is such a versatile shade because when it's dry you pick up a lot more of the maroon base that has a nice sheen from all the glitter, but when you use it wet, you get a whole lot of gunmetal metallic-ness with a hint of the maroon base. Thanks to the duochrome effect of this eyeshadow, how it appears on the lid is totally dependent on how the light is hitting you, which is a pretty cool effect. If you're in a pinch, you could even use this dry through the crease and use it wet on the lid and it would look like you put effort into your look! So as you can see, the Marc Jacobs Glitter Dusts have the equivalent value of a Mac Eyeshadow, have a better value than an Urban Decay Eyeshadow, and are $0.17 more expensive than the MUFE Artist Shadows, which really isn't too bad at all for a limited edition product. You get a lot of product, so it will take quite a bit of time to go through one of these. 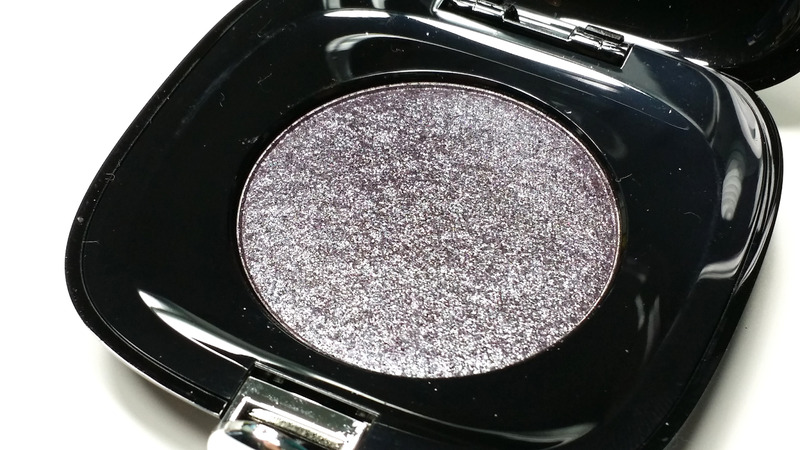 I highly recommend snatching one (...or two) of these Glitter Dusts up, particularly in the Ultraviolet Light shade since it's so unique, yet wearable.